At the time, I certainly did not. Last Tuesday in Cleveland, I thought I was just watching a sloppily played game between Tennessee and Rutgers for the NCAA women's basketball championship. Instead, it was the first step in a national debate encompassing racism, sexism, misogyny, public airwaves, politics, journalistic ethics, Jesse and Al, self-loathing in the African-American community, good people doing bad things, cats and dogs living together. Last Wednesday morning, I was happy to just get on an early flight ahead of the snowstorm that would pummel Ohio. How could I have known that I was flying directly into a hurricane of controversy emanating from the Big Apple? From Tennessee coach Pat Summitt reaching another pinnacle in her career to popular radio host Don Imus sinking to one of the lowest points of his. 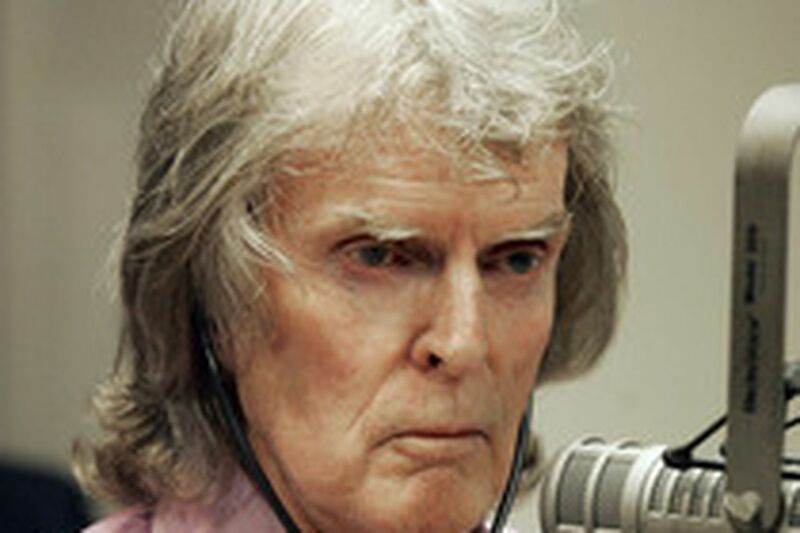 So far the scoreboard includes Imus losing his well-paying simulcast gig for his morning radio show on MSNBC; CBS Radio losing a bunch of big-money sponsors for its "Imus in the Morning" program and firing him yesterday; and a disc jockey in Stroudsburg getting fired because he still thought it was good radio to make reference to "nappy-headed hos." Clearly, WSBG-FM morning host Gary Smith, who got fired on Wednesday for encouraging listeners to call in and say, "I'm a nappy-headed ho," failed to grasp the severity of the eggshell climate radio hosts tread on. Let's see, Imus, a nationally syndicated broadcast veteran who is in his industry's hall of fame, was fighting desperately to save his career, yet the local guy in Stroudsburg believes it's a good idea to play off of this. In announcing Smith's firing, his bosses might as well have said, "Our company can tolerate a lot of things but blatant stupidity isn't one of them." You better watch your act, boys and girls, because every phrase or joke you utter is going to be monitored down to the word in the near future. I guess sports does transcend all segments of our society. Imagine how things would be if Rutgers actually had won the game. To be honest, I thought this story would have run its cycle by now. I thought I would be writing a column encouraging people to not forget what Imus had said about the Rutgers players. The funny thing is, you can blame Imus for keeping this thing blazing. His woe-is-me, mea culpa tour to cool things down has only stirred them up more. His apology, particularly when he follows it up by trying to show the good deeds he has done, has come across as being less about sincerity and more about trying to save his fanny. The good news for the meat-and-potatoes sports fan is that the Imus story has moved farther and farther from the sports pages each day. It is now the property of the news and features sections. The sidebars now will include: how is it going to play with the political candidates; discussions of the alleged unfairness that African-Americans can say whatever they want while white people must bite their tongues; rap and hip-hop lyrics; misogyny and self-hatred in the African-American community, etc., etc. There are enough interesting tangents for this Imus/Rutgers flap to generate half a year of stories, columns and projects. I doubt I'll be part of any of that, however. It's time for me to get back to the boring, mundane world of Philadelphia sports. Hooray, the Flyers' miserable season is over and the Sixers will soon join them on the sidelines. Here's hoping the Wachovia Center has a lot of ice shows or concerts to fill those dark playoff dates normally reserved for basketball and hockey. Hooray, the Phillies finally won another game, and maybe now people can exhale a bit and treat this like the start of a 162-game schedule and not the second week of September. Really, who needs Imus, Jesse Jackson and Al Sharpton with the NFL draft, Eagles minicamp and the winners of the Greg Oden/Kevin Durant sweepstakes just around the corner? Most important, though, I'm looking forward to next April 6 to 8 when the NCAA Women's Final Four takes place in Tampa, Fla.
With Rutgers scheduled to have its entire roster back and Tennessee losing just one starter, we could have a rematch of this year's social-climate changing championship final. I just hope the play is a little bit better. Send e-mail to smallwj@phillynews.com. For recent columns, go to http://go.philly.com/smallwood.